Precision springs are manufactured under tight tolerances in order to obtain a more exact spring design when it comes to its physical dimensions as well as the spring’s force. At Acxess Spring we focus on our customer’s needs and make sure we deliver quality springs no matter how precise these may have to be. We are known for helping our customers achieve the most precise spring design using our free online spring calculator, Spring Creator. 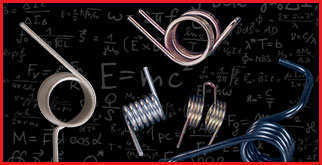 Calculate your precision spring’s rate, maximum load possible, maximum travel possible, and many more spring calculations which are critical when it comes to making your precision spring as exact as possible. With our Spring Calculator, Spring Creator you can generate a live blueprint according to the physical dimensions you specified. Not only do we help you calculate your spring design, but envision it. Your precision springs are in the hands of perfectionists who are willing to go the extra mile to make sure your precision springs will work in your design or application. For this reason, we invite you to ship us your device to have our spring engineers really see where this spring is going, what function it’ll have in the device, and how much tolerance your spring will need. The smaller the tolerance, the greater the precision of the spring. 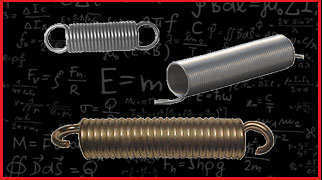 We are able to manufacture several types of precision springs in several sizes. 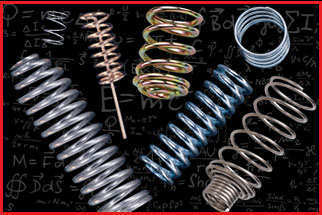 The precision springs Acxess Spring is able to manufacture are found in our Types of Springs page.